MitchEllis step up to the plate to take a pitch. 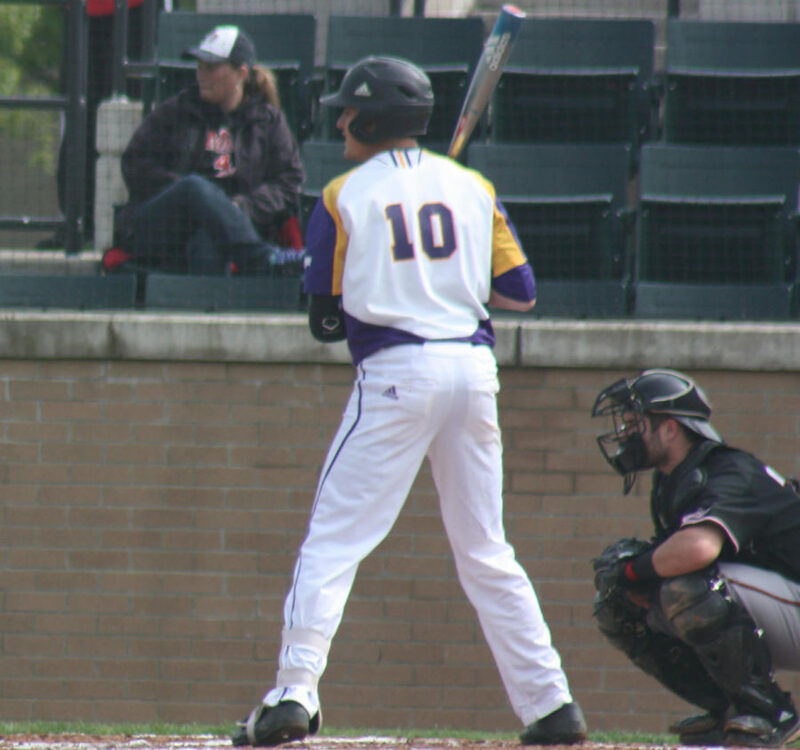 MACOMB, Ill. — Western is coming home to play Southern Illinois University Edwardsville Cougars for the second time this year. They are considered the challengers for this matchup, with a 10-28 overall record to Western’s 9-22 record. 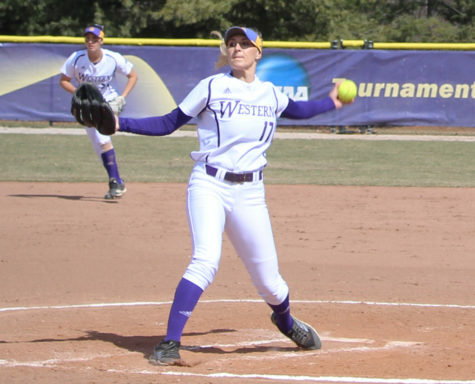 Last time, Western snuck away with a win of 9-4 in the tenth inning. Returning third baseman Mitch Ellis was the player of the game as he went 2-4 with one walk and hit a double down the line to bring in the last run and end the game. Recently, he has struggled. In the last three games, he went 2-11 at the plate and had only two RBI’s. Actually, the entire team has seemed to struggle to get the bat on the ball at certain times. Since the last time they played SIU-E they are 2-3 and looking to turn it around. In the last few matchups the man to watch has been Steve McShane. He has hit .400 in the last three games and a solid .280 on the season. His hot hitting started in the three-game series against NDSU and he does not look to slow down. Another strong mark for Western in recent memory is pitching performance from Ian Koch. While playing NDSU, he pitched eight innings and only gave up one hit. Teammate C.J. Schaeffer was impressed with the recent pitching, “It’s always easy calling a game behind the plate when your pitcher has everything working like all of our pitchers did this weekend.” The team looks to continue its strength in defeating the cougars. On the other end, the Cougars have only won three games this month. In eight of those matchups they have given up double digit numbers and the lowest amount of runs they have given up is four. Their most recent matchup, however, their bats came to life. Scoring 17 on 19 hits they beat UT Martin 17-6. Sean Lyons, head coach, talked about the brightness coming through in the dark times, “The offense finally broke through. There was a lot of confidence in the swings and aggressiveness that has been lacking and that was good to see,” Lyons said. They look to keep their bats strong and take another win here in Macomb Wednesday at 4 p.m.